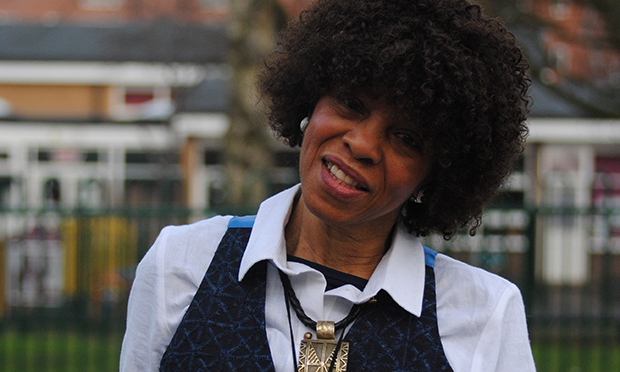 The anthology’s editor Margaret Busby OBE will chair the panel. A Hackney bookshop is marking the recent release of a major anthology of writing by women of African descent with a two-hour panel next week featuring five esteemed guests. Ghanaian-born author Margaret Busby OBE, who in the 1960s became the UK’s youngest and first black female publisher, released a landmark book over twenty-five years ago called Daughters of Africa. The compendium, compiled by Busby, includes literature by more than 200 African women, and was met with worldwide acclaim. 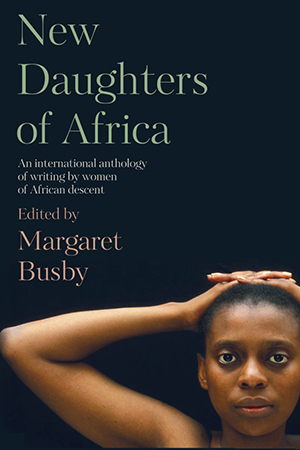 Earlier this month, a follow-up titled New Daughters of Africa was published, with the now 74-year-old Busby collating works by hundreds of authors from the past quarter of a century. The release is being celebrated by Pages of Hackney at Round Chapel Old School Rooms – just around the corner from the bookshop, but more spacious! – with an evening of discussion chaired by none other than Margaret Busby herself. She will be joined by chef and writer Zoe Adjonyoh, award-winning author Patrice Lawrence, writer and activist Zita Holbourne and poet Jane Grell. The panel starts at 7pm, and Pages is kindly giving away three pairs of tickets exclusively to Hackney Citizen readers on a first-come-first-serve basis – to nab them, get in touch with the bookshop by email at info@pagesofhackney.co.uk. If you miss out, you can still book tickets for £6 each on the Pages of Hackney website. Pages says New Daughters of Africa continues the mission of its predecessor “for a new generation, bringing together a selection of overlooked artists of the past with fresh and vibrant voices that have emerged from across the globe in the past two decades, from Antigua to Zimbabwe and Angola to the USA”. The anthology explores “custom, tradition, friendships, sisterhood, romance, sexuality, intersectional feminism, the politics of gender, race, and identity”. Its 750 pages span a wealth of genres – memoirs, diaries, novels, poetry, humour, journalism, essays, speeches and more – which the bookshops says “demonstrates the diversity and remarkable literary achievements of black women who remain underrepresented, and whose works continue to be underrated, in world culture today”. As for the panel, Zoe Adjonyoh is the founder of Hackney-based pop-up Zoe’s Ghanaian Kitchen. Her food has been widely celebrated following kitchen residencies across London as well as in Berlin and New York, and in 2017 she published her debut book of Ghanaian recipes. 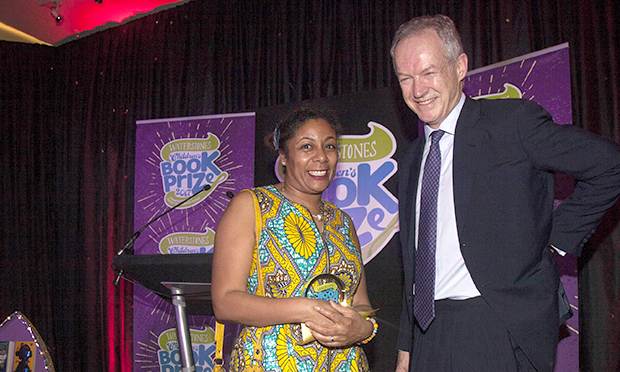 Patrice Lawrence with Waterstones director James Daunt in 2017. Patrice Lawrence’s debut novel Orangeboy won the Waterstones Prize for Older Children’s Fiction in 2017. Her second book, Indigo Donut, was named one of The Times‘ top children’s books later the same year. Zita Holbourne is an artist and award-winning trade union, community and human rights campaigner. She started the Roots, Culture and Identity arts collective and co-founded the Black Activists Rising Against Cuts (BARAC) group. Jane Grell is a poet born in Dominica who has worked as both a teacher and professional storyteller to promote bilingual literacy through oral storytelling. She is the author of several collections of poetry for children and adults. The New Daughters of Africa event runs from 7pm until 9pm on Thursday 28 March at Round Chapel Old School Rooms, 2 Powerscroft Road, London, E5 0PU.